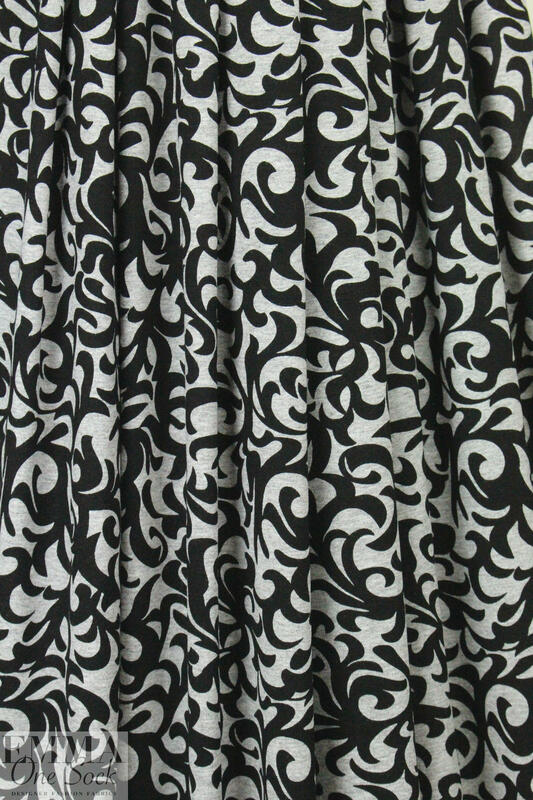 This is a lovely quality 4-way stretch rayon/spandex knit (80% stretch in the width, 40% in the length), opaque yet lightweight with wonderful drape and a "dry" (not slippery) hand. 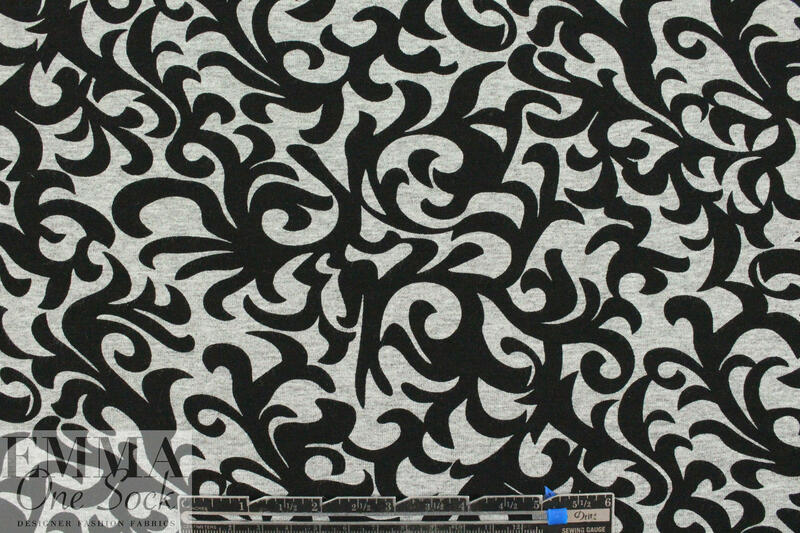 The base fabric is a light gray heather (PANTONE 16-0000 is close), with a lovely fleur-de-lis design in black (10" repeat). 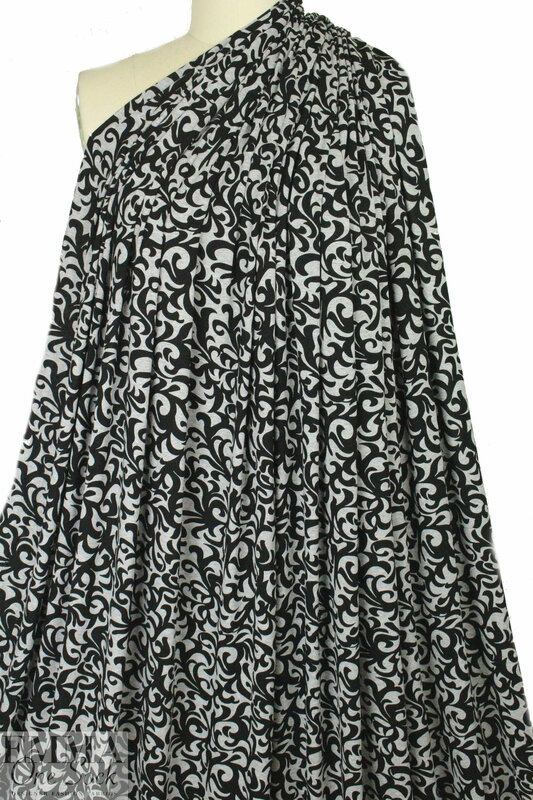 It is perfect for any number of tops, tees, tunic, etc. 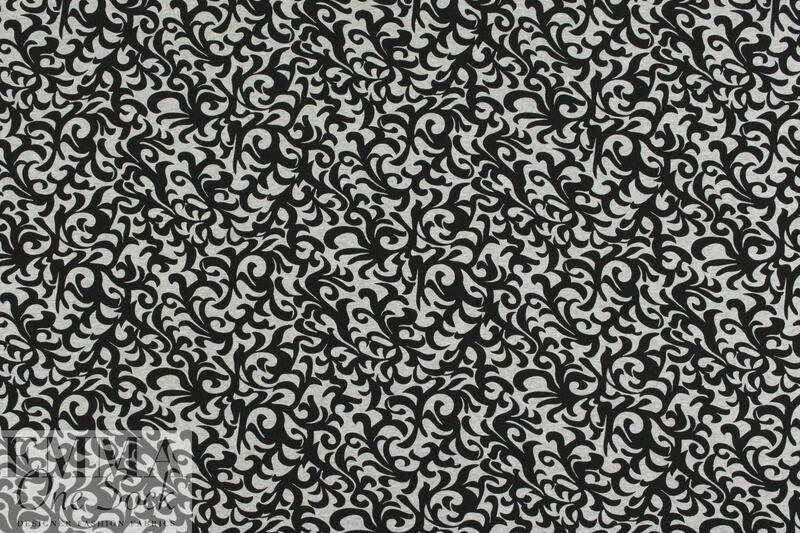 The manufacturer recommends hand or machine wash, hang to dry.